Do you prepare your chaga first thing in the morning? Morning rituals are said to set us up for the day. They can be no more than a quick cup of your favorite tea, or a full-on family affair. Whatever the morning brings you, introducing chaga adds health benefits to your day. It’s easy to incorporate something old and something new in a morning routine. A few reasons spring to mind. Hydration is paramount to overall health. Some say thirst is a sign of existing dehydration. But why is it so important. Our bodies consist of 70 percent water. If that doesn’t tell you of is importance, nothing will. Problems associated with dehydration are quite serious. Extreme case sees people suffering dizziness, and collapsing. Staying hydrated is much more critical than most think. Keep it in mind when considering your daily intake. Water of course may be the best form of hydration, but there is hydration in all forms of food and drink. For those who cannot bear to look at another bottle of water, there are more alternative to staying hydrated than ever before. Include chaga tea for your overall fluid intake. Not only are you staying hydrated but you are enjoying a preferred drink. Remember, tea is water flavored hydration. For those already introduced to chaga you will know of its health benefits. For those still undecided, or if chaga is a foreign word, do some research into this medicinal mushroom. Essential minerals, vitamins and antioxidant levels in chaga will help strengthen your immune system, assist with mental and physical stamina, and go a long way to improved wellbeing. Change in itself can be the first step in assisting everyday health. Our bodies have the ability to let us know if we are lacking in something. Why wait. Take chaga on a daily basis and make it a morning habit. Whether you believe in the word super food or not, you owe it to yourself to seek out the benefits this obscure natural compound can do for you. Tea drinkers around the world number in the millions. Is it just a daily habit that brings people back to tea? Unlikely. For some it can be a pleasant ritual, and for others a well-known morning revitalizing tradition. 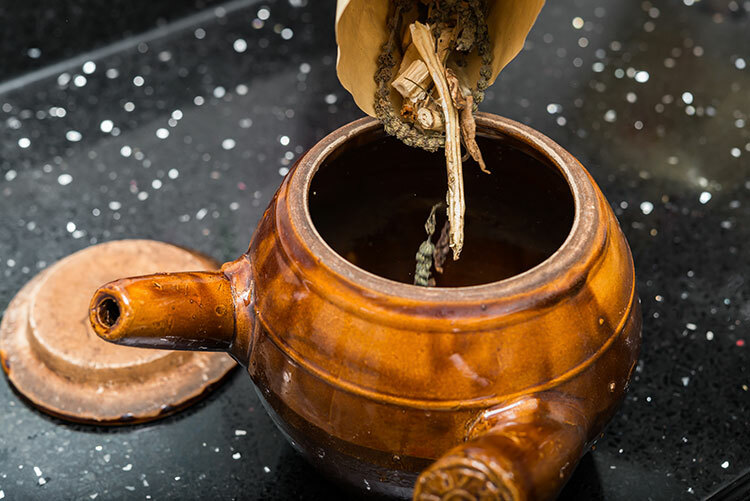 If your goal is to introduce chaga into morning routines, sticking to regular time pattern, but changing the type of beverage may make the transition easier So, what’s the best way to prepare chaga tea in the morning. Your options are many. For those with little time on their hands during peak times, chaga tea bags are perfect. Whether on the goal, or taking your time to enjoy the morning there is a chaga product for you. 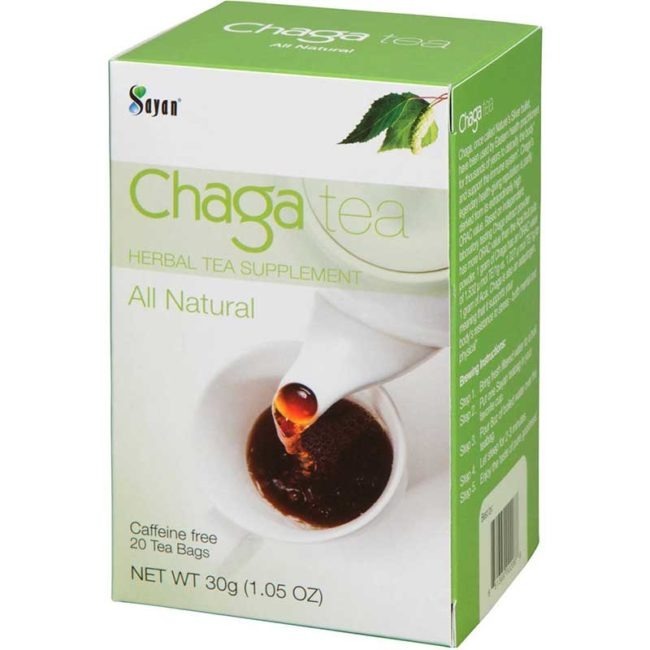 Chaga tablets also offer convenience for those wanting to have more than one tea of a morning. If this is your chosen way, just remember for both tea bags and tables, ensure the water is not too hot. Boiling water with only render the essential benefits of the chaga tea less potent, and you may affect the taste. Chaga is here to be enjoyed, but let’s treat it properly in the first instance. Read instructions if you aren’t at all sure on where to begin. For those lucky enough to have more time on their hands, a brewed cup of chaga tea is the way to start a perfect day. Brewing can take as much time as you need. Generally, the chunks are steeped and brewed for a couple of hours, then allowed to cool. Store the remaining in the refrigerator once completely cooled for a time saver the next morning. You can plan ahead with chaga. It is very accommodating for those with morning demands all the way through to most of us with more demands in the mornings. Warm tea beats most by a long way but try something different with your chaga. Chaga smoothies are a great way to start a busy Saturday morning, and help keep your energy levels up. Start with your favorite base. Regular milk, soy, full cream or fat free, the choice is yours. Add berries of choice and blend. For something different add cinnamon. For those wanting more sweetness, honey is a great option. Fruit will have its only natural sugar content. Keep this in mind if you are watching sugar intake. Add ice and blend all well. Serve in a tall chilled glass for one heck of a healthy smoothie. Warm days in the summer months scream out for a refreshing iced tea. Don’t just keep if for the evening, iced tea can become your favorite breakfast beverage. Start with crushed ice, leftover brewed chaga tea and mix well in a large glass chilled jug. Add lemon or lime or maybe even some spices. Experiment with your preferred. If you’re wanting a sparkling iced tea, why not add soda water or mineral water to the mix. Not only is it delicious, but you are doing your body good. 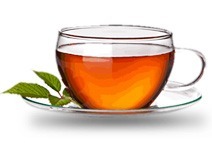 Adding other flavours to chaga tea may surprise you. Once the art of making chaga tea is accomplished, adding different flavors enhances the whole experience. For those with a creative mind, and skilled in flavor matching, this method of varying chaga teas offers ways to impress friends and family. Certain spices are added to food to enhance flavor and make something out of the ordinary. Taste is everything. More so than the flavor variants, spices and herbs have their own health benefits. Parsley, all kinds of berries, sage, and even pepper all have a range of beneficial offerings. Another example is turmeric. Now days this spice is said to be of great value to those suffering from arthritic aliments, and joint immobility. In fact, many naturally occurring herbs and spices bring a world of health-giving properties. By combing these with chaga, you soon have a super beverage. 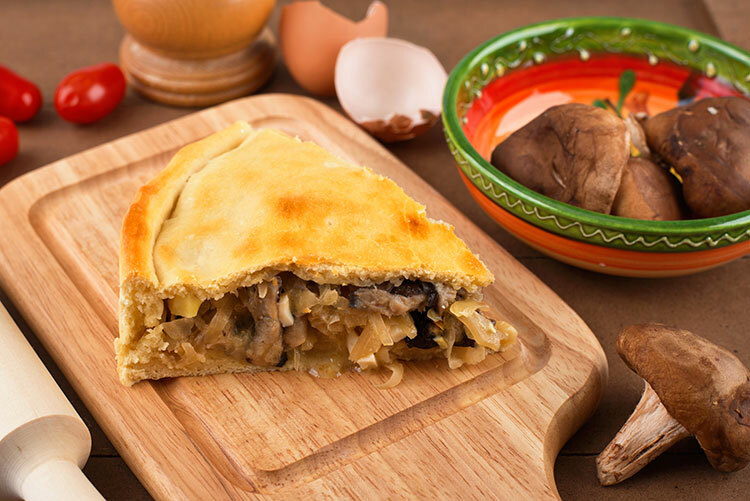 If you are no so skilled in the culinary arts, simply look online for ways to match flavor for the best end result. Chaga on its own is sufficient and quite enough for many consumers. The taste is described as ranging from an earthy wood like taste to a vanilla birch flavor. See for yourself. Add chaga to your list of health necessities. Is there a best time to drink chaga tea? Not everybody is the same. Daily demands and habits vary as do appetites. Consequently, there is no right or wrong time to drink chaga tea. Most may like to get their daily dose in the morning, but if that doesn’t suit, then choose a time preferable to yourself. Some chaga drinkers may not find it appetizing on an empty stomach, and therefore wait until mid-morning. Keep in mid to not leave it too late in the day. If you are prone to restless nights chaga may affect this. Experimentation is the key. Take notes. Write your own chaga journal to review and look back on if you are likely to forget when you consume. Develop chaga habits by this method and you will no doubt, find the optimal time for your chaga tea hit. It’s hard to believe that a small and unattractive looking black piece of fungus could do so much for health and longevity. But Chaga mushrooms are getting a lot of buzz online about health and longevity. This powerhouse can help you fight illnesses, improve your immune system, and also help you look and feel younger. You don’t have to wait to get sick to benefit from Chaga mushrooms. You can take it proactively as well. At Sayan Health, we offer a number of methods for you to benefit from our potent wild-harvested Siberian Chaga mushroom extract. So read on about some of our products and some tips for taking Chaga. Chaga Oil Our potent Chaga oil can be applied topically to your body. Chaga Cream Chaga cream is great for your legs fatigue. Apply it directly to your legs and let it work its magic. We’ve infused our Chaga extract cream with other beneficial substances as well, including tea tree oil, vitamin A & E, green tea, and more. Chaga Tea Chaga tea is caffeine free and is an elixir provides a plethora of health benefits. It’s great for digestion, boosts the immune system and energizes you, and support normal healthy attitude during PMS. It’s an excellent source of antioxidants (more than many fruits, such as blueberries and even acai berries!) and has a long list of other health benefits, too. Chaga Powder A little bit of our Chaga powder goes a long way in helping you improve your health. This powerful adaptogen can detoxify your body. To use our powder, simply ingest about a half a teaspoon daily for adults. Mix it with water, juice, a smoothie, or some yogurt. We offer Siberian Chaga extract in several formats so you can take it according to your preference. And we even offer Chaga Pills to make it simple for you to benefit from Chaga that can be taken at 2-4 capsules a day. Want to learn more about what Chaga can do for your health? It’s more than just hype! So browse our site and check out the science behind Chaga. [:ru]It’s hard to believe that a small and unattractive looking black piece of fungus could do so much for health and longevity. But Chaga mushrooms are getting a lot of buzz online about health and longevity. This powerhouse can help you fight illnesses, improve your immune system, look and feel younger. You don’t have to wait to get sick to benefit from Chaga mushrooms. You can take it proactively as well. At Sayan Health, we offer a number of methods for you to benefit from our potent wild-harvested Siberian Chaga mushroom extract. Read on about some of our products and some tips for taking Chaga. If you’ve recently started using Chaga and are interested in the different ways to use Chaga, you’ve come to the right place. As providers of Siberian Chaga, we’ve seen many success stories that talk about various ways you can use Chaga to benefit your health on a regular basis. You can drink it, take it in capsule form, and you can use it topically, too. Some people come up with creative ways of using Chaga, too. You can drink water with Chaga extract powder in a mixture. Or you can buy it in capsule form. You can also make Chaga tea or Chaga iced tea which many people enjoy having on a regular basis. You can have it straight or you can also find blended Chaga teas in a variety of flavors with additional healthful ingredients added in, too. You can purchase Chaga cream or chaga oil and use it topically as a healthy massage oil. Cream with Chaga gets reports of being great for leg fatigue, for example. There’s no need to go hiking in Siberia to find your own Chaga source and then take days to painstakingly make chaga tea from scratch. You can buy Chaga online here. We offer Siberian Sayan Chaga that’s pure, potent, and responsibly harvested. Whether you want Chaga cream, oil, tea, or extract powder, it’s a great way to infuse your body with antioxidants, to boost energy and stamina, and to get the adaptogenic benefits of this healthy mushroom.